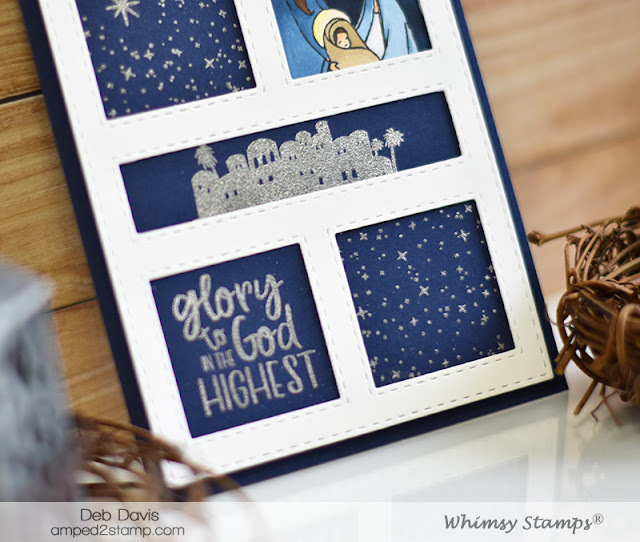 There are so many Whimsy stamp sets that work great with our Peekaboo Window dies and the new Glory to God clear set is totally perfect for it. 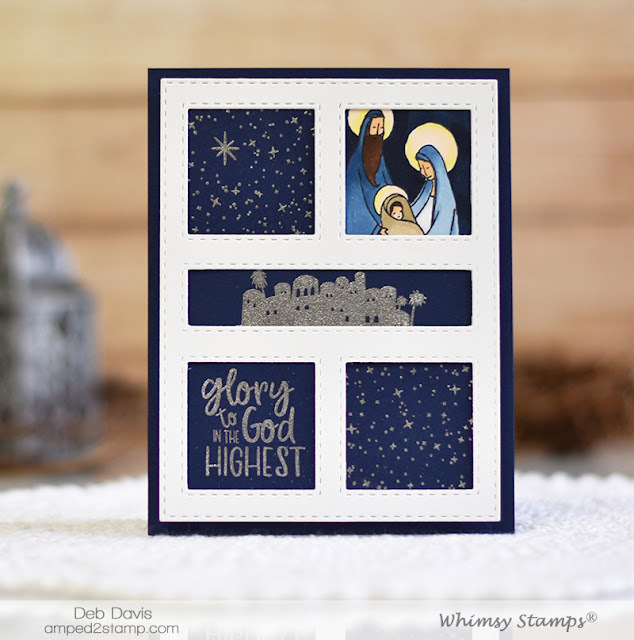 I cut out a white Peekaboo Window 2 die from white card stock and then hand cut navy blue card stock into pieces that were slightly larger than each window opening. I find this way is easier than trying to position images inside the windows on a full piece of card stock. 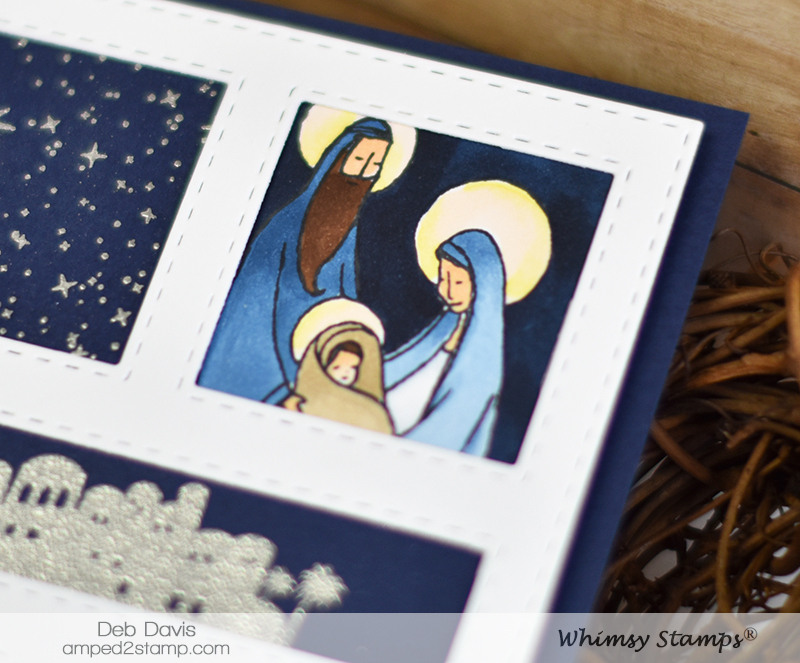 Once I had my navy pieces cut out I stamped and embossed in silver each of the panels (except for the baby Jesus image). For the main image I used a faux masking technique (this is a really difficult technique...not!). 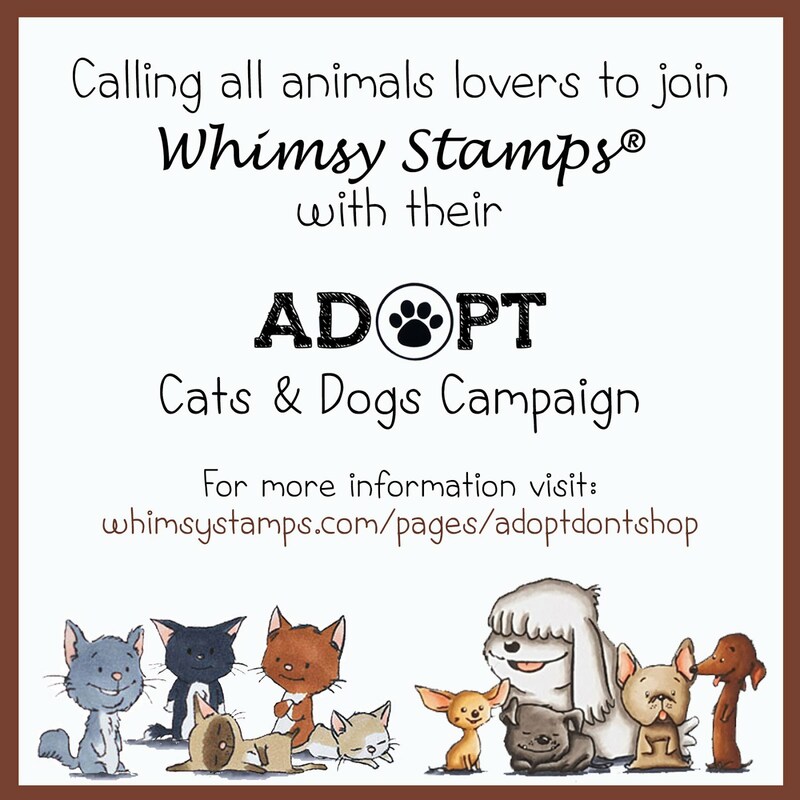 This is so easy, first I stamped the image on white card stock using Memento black ink then colored it with Copic markers. I let the image dry for a couple of minutes before moving on to my next step. For my next step I chose a copic color (B99) that was as close as possible to my navy card stock and colored all around the image to fill in the background. It's that's easy, no fussy cutting or masking at all. I love this sentiment and enjoyed making the word art for all the sentiments in this set, you can see all of them HERE. And to finish my card I just taped each image piece in their applicable windows then added foam tape to the entire back of the piece and adhered it onto a navy card base. Hope you enjoyed this quick faux masking technique post and I hope you have a glorious day! I love all the blue and silver on this card! Beautiful as always, Deb! This is a beautiful Christmas card. 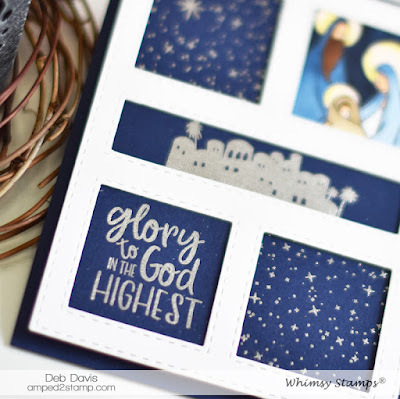 A real what Christmas is card. Love it. Thank you Niki and Bunny I appreciate you leaving such nice comments :o)!